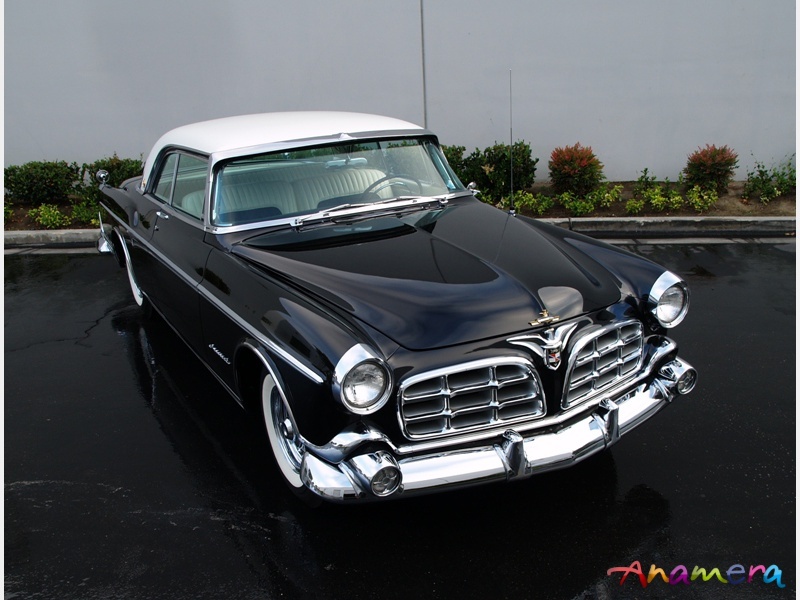 1955 Imperial Newport Coupe.....RARE, RARE ! 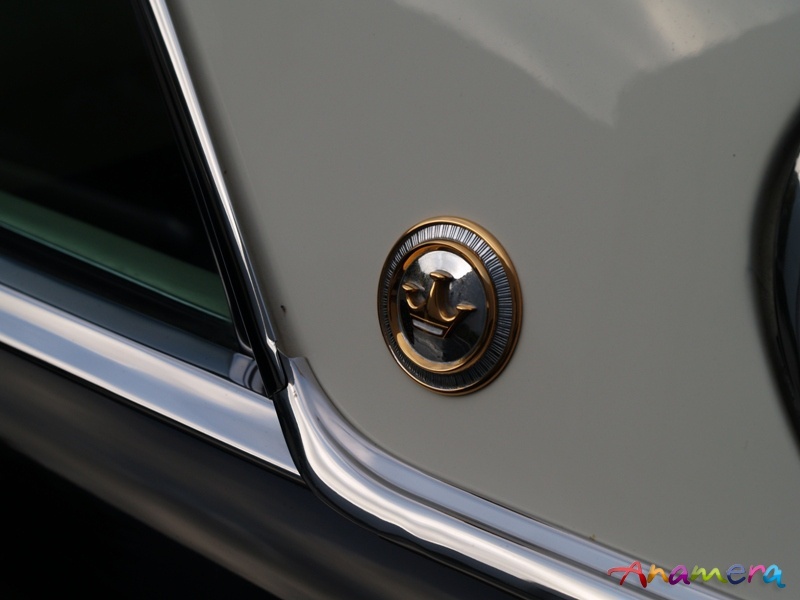 1955 introduced “Imperial” as its own marque and designer Virgil Exner punctuated the brand with the introduction of the 1955 Imperial Newport 2 door coupe. 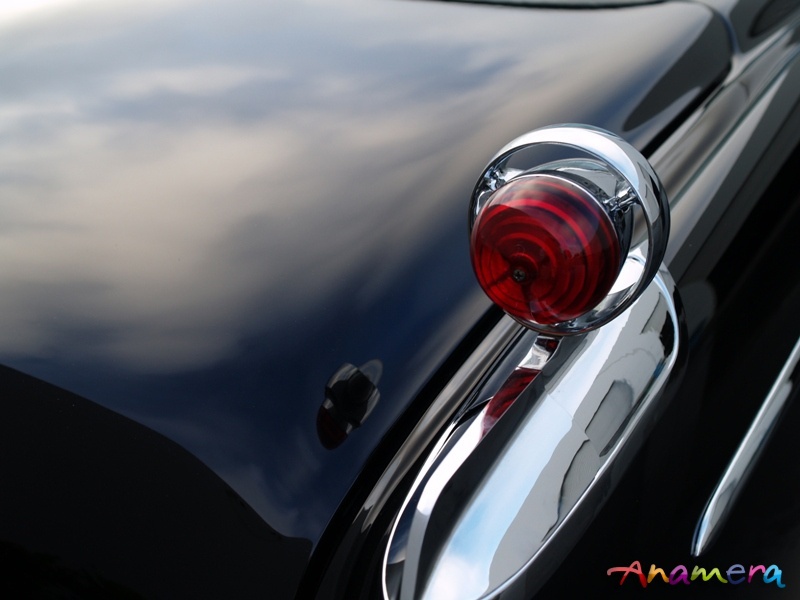 These cars had a remarkable presence; styling details having been foreshadowed by the Italian-bodied show cars of the early 1950’s under Exner. It was Exner who took Chrysler Corporations stable to its “Forward Look” at a reported cost of around $250 million. 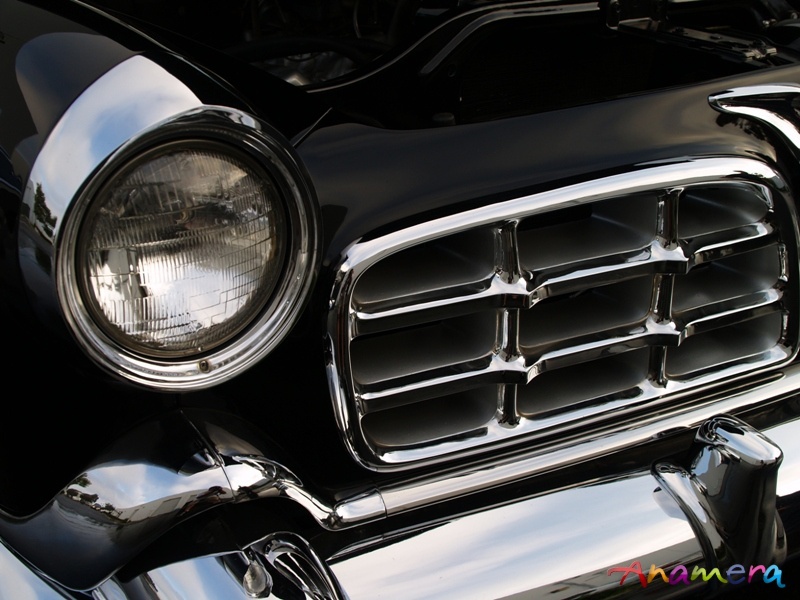 His designs graced the cars of Plymouth, Dodge, DeSoto and of course, the Chrysler line itself. 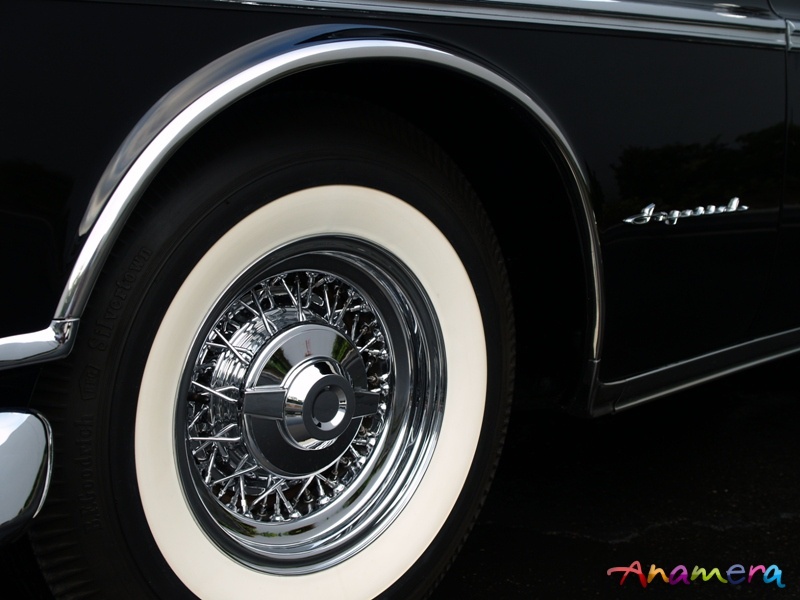 3418 Imperial coupes were manufactured in 1955 with a 130” wheel base and a length over-all of 224”. This is a big car. 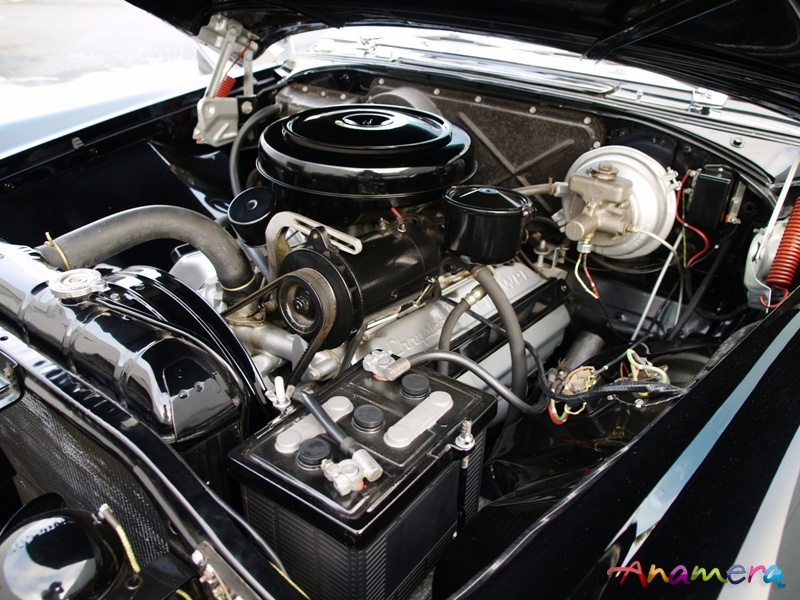 The cars were fitted with a 331 Cubic Inch Hemi V8 producing 250 horse power, matted to a Power Flight Transmission with a unique in dash shift lever. 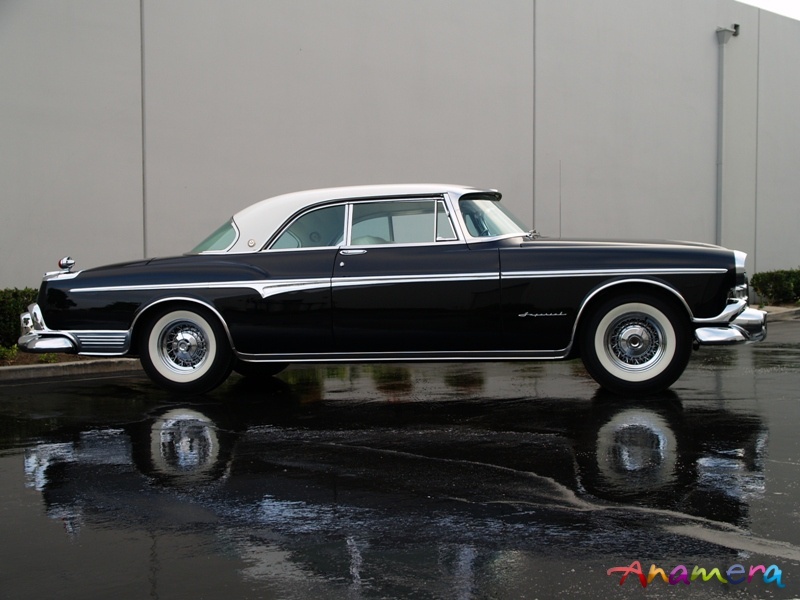 The 1955 Imperial was unique in other ways as well, it was the only year that the car was produced with full radius wheel openings; bumper guards were also fully enclosed. 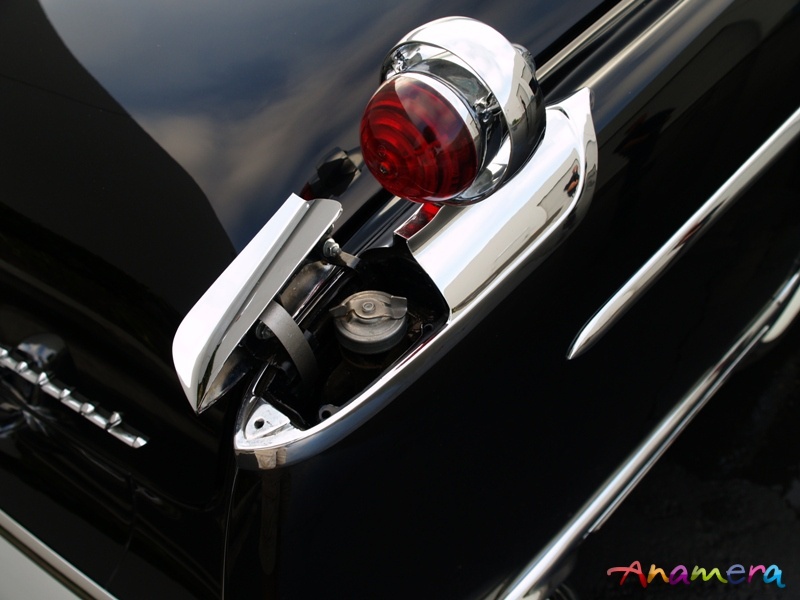 The “gun sight” rear tail lights, located on top of the rear fenders, were borrowed from the 1951 K510, Exners first show car for Chrysler. The price tag on the 1955 Imperial was a hefty (for the time) $4,720.00 and the car weighed in at approximately 4,500 lbs; darn near a dollar per pound. 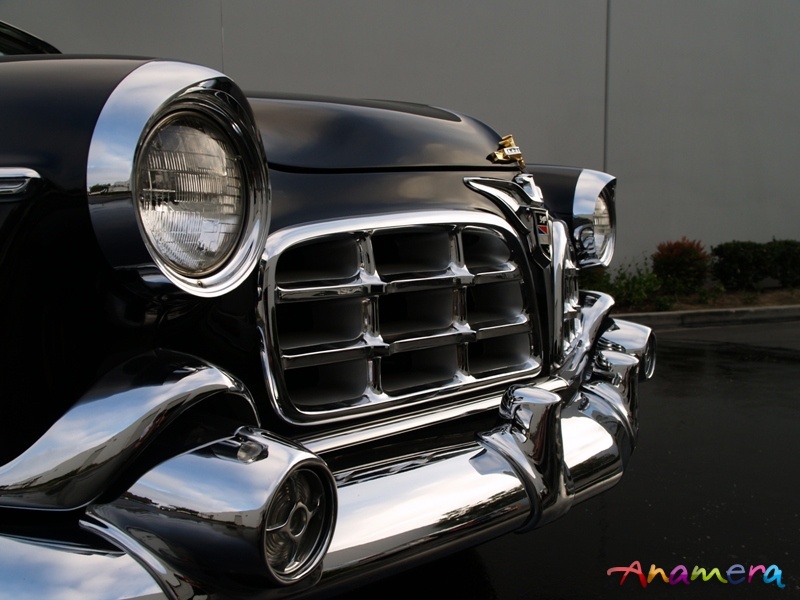 Despite stiff competition from other luxury brands, Cadillac, Lincoln and Packard, sales of the 1955 Imperials nearly doubled thanks to the image boost. These cars were pure Luxury; even the seats were unique in that each seat coil spring was individually bagged, not unlike a modern day mattress. 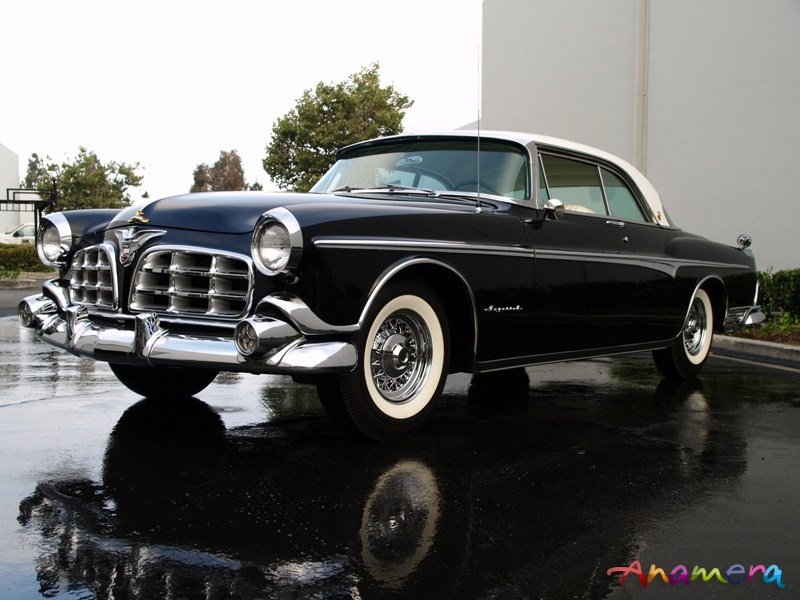 Though 3418 1955 Imperial Newport Coupes were manufactured it is unknown how many have actually survived, though it is estimated that the figure is somewhere around 100 cars. We have been able to locate only 23 so far; none of which (that we are aware of) are currently available for sale anywhere or at any price. 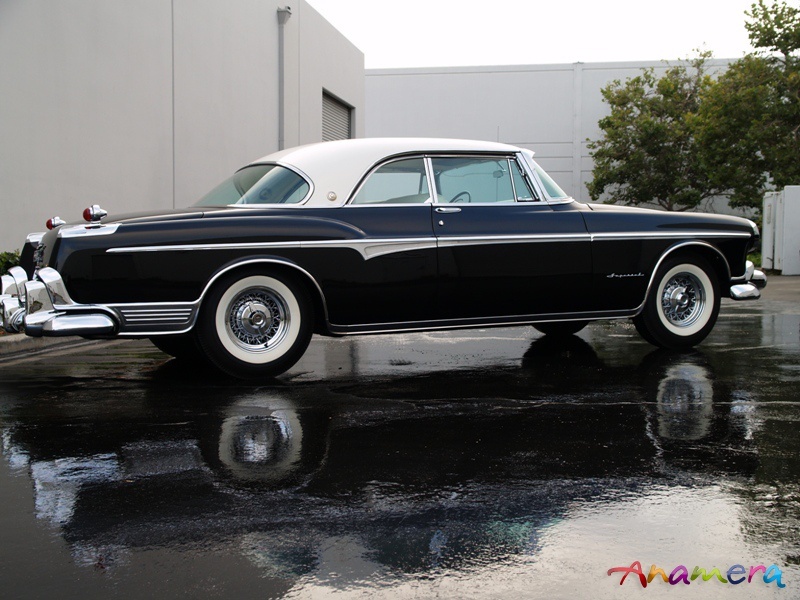 This 1955 Imperial is in fantastic condition having received a 5 year restoration. 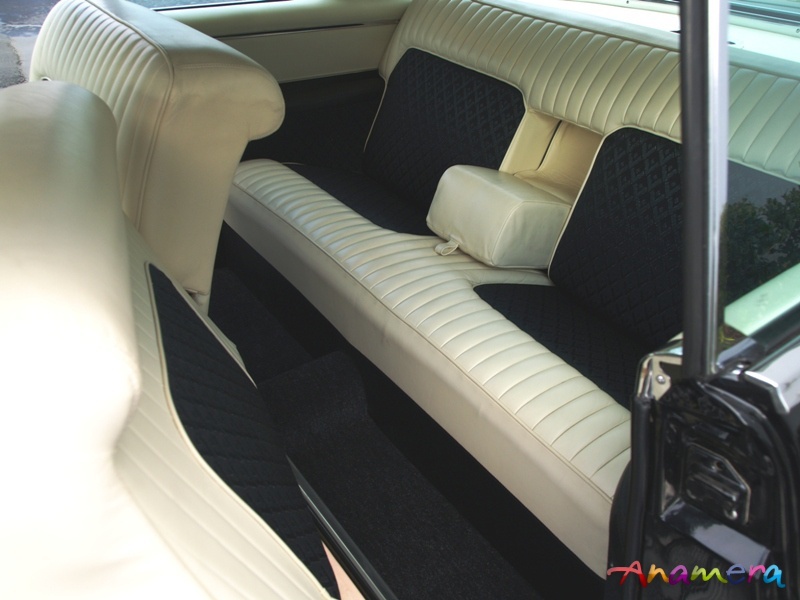 The car is finished in a two tone White over black with matching White leather and black “V” cloth insert interior. The factory “V” cloth insert material was acquired for a hefty sum; making this perhaps the only restored 1955 Imperial Coupe with this factory cloth insert in existence. 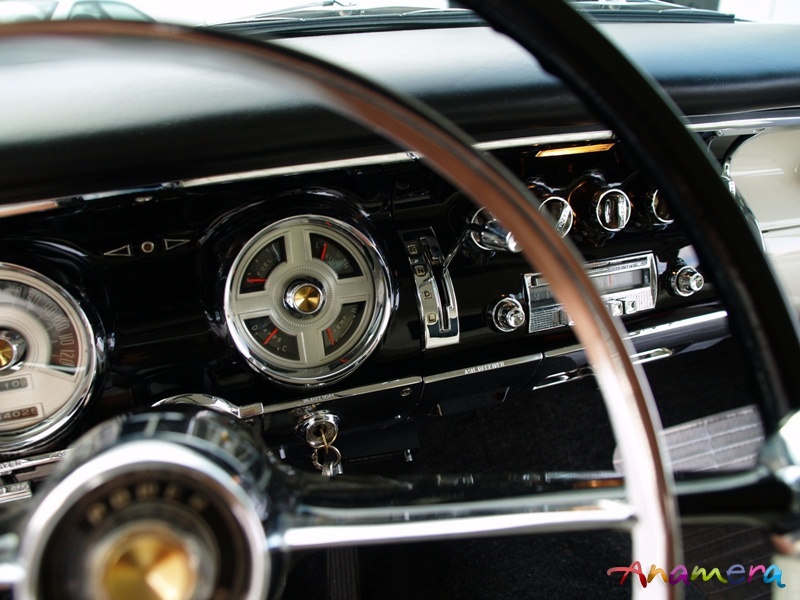 The car has its original 331 Hemi and two speed Power Flight transmission. 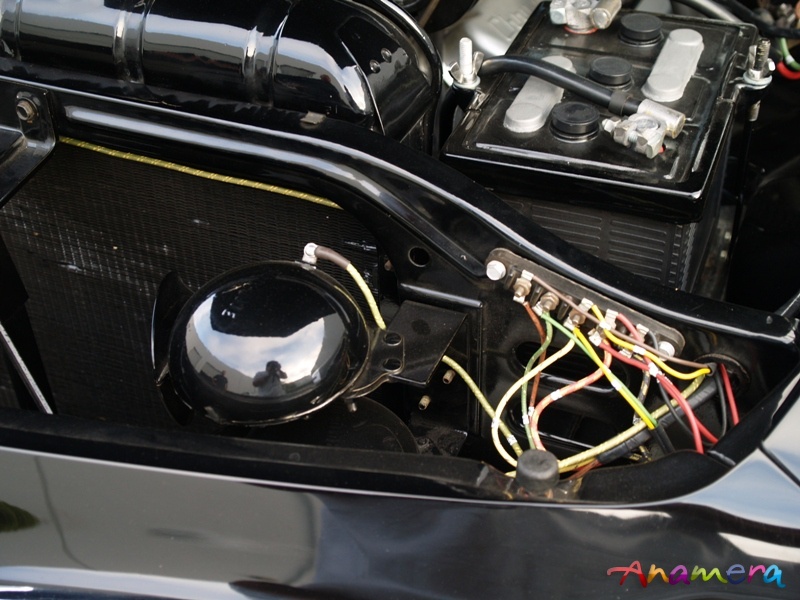 The plating on the car has been restored to near perfect standards at a substantial cost; nearing $25,000 alone. All 5 wire wheels are factory original “Motor Wheels” that have been completely rebuilt and restored at a cost of approximately $1,000 per wheel. The paint is Sikkens and is fantastic. 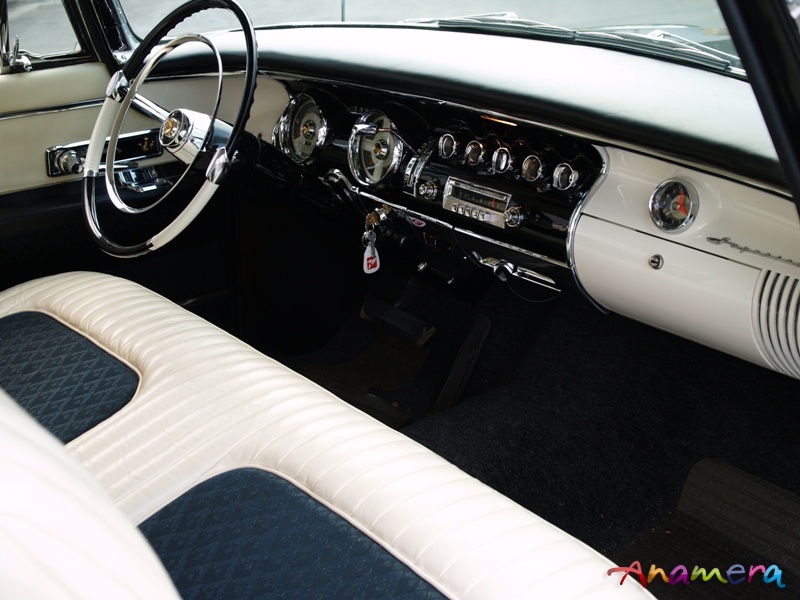 The car is equipped with Power Steering, Power Windows, Power Brakes, Power Seats and the Original Town and County Radio……even the clock works. This car starts runs and drives wonderfully. 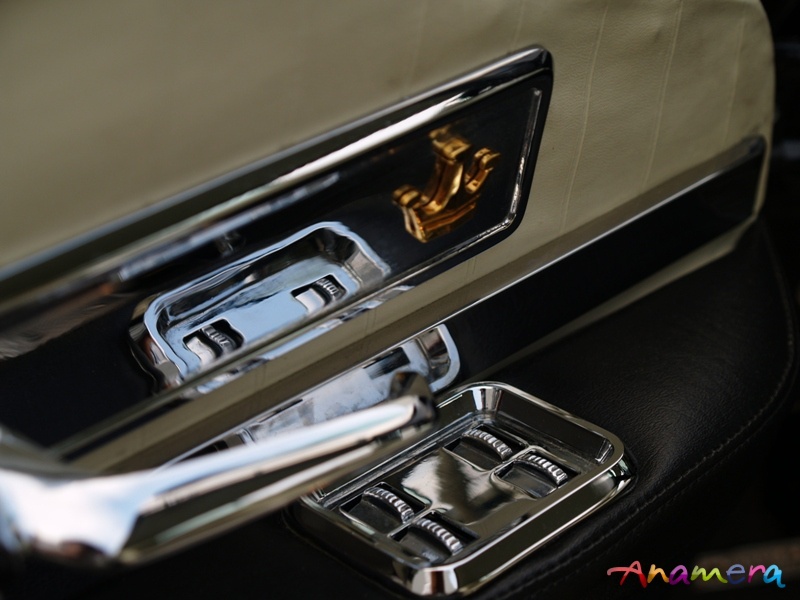 It is truly a regal car that is an absolute joy to drive on the open road. This car is ready for both show and touring. 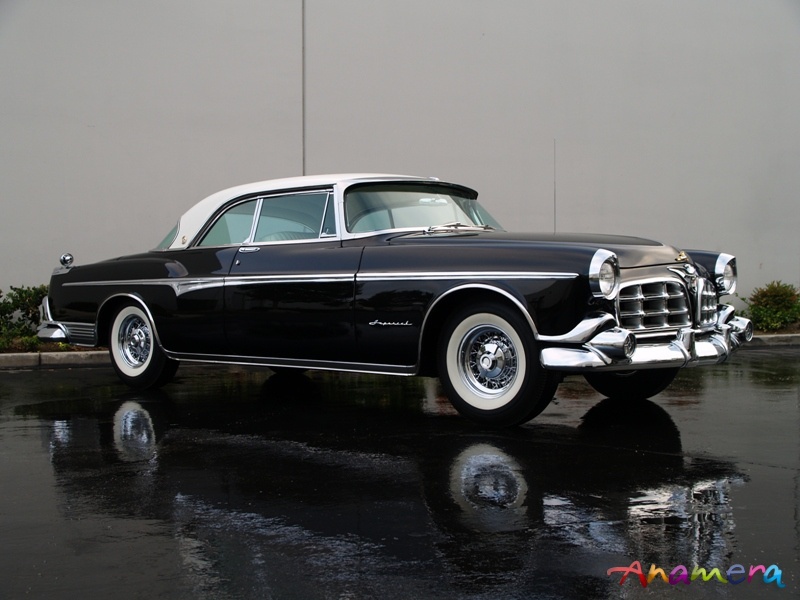 We are of the opinion that the 1955 Imperial Coupe is one of the best looking and most stately designed cars to ever be produced by any American automobile manufacturer. These fantastic cars are becoming very difficult to find and in this condition (considering restoration costs) nearly impossible to come by. We are offering this exceptional example at $85,000 U.S. Reasonable offers may be considered once the car has been viewed.